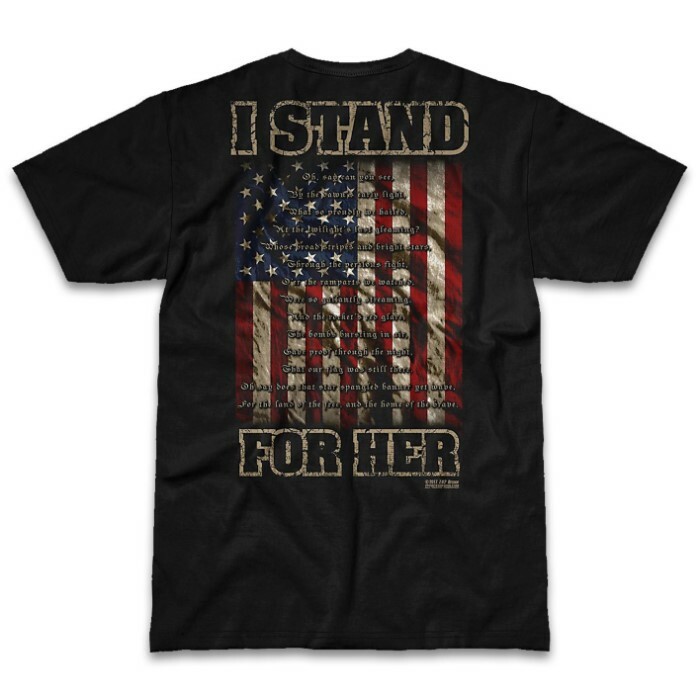 I Stand For Her National Anthem Black T-Shirt - 100 Percent Cotton, Athletic Fit, Tagless, Screen-Printed Original Artwork | BUDK.com - Knives & Swords At The Lowest Prices! While the debate rages, our I Stand for Her National Anthem T-Shirt will make your point loud and clear. The black mid-weight, 100 percent pre-shrunk cotton has an athletic fit and is tagless for comfort. 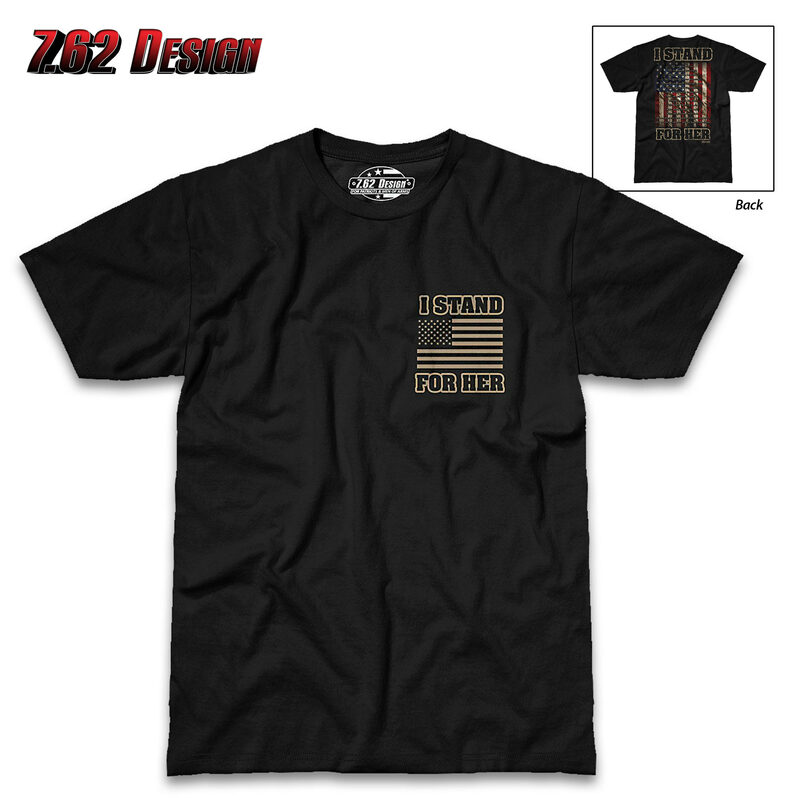 The all-original, patriotic artwork is screen-printed on both the front and back of the shirt. 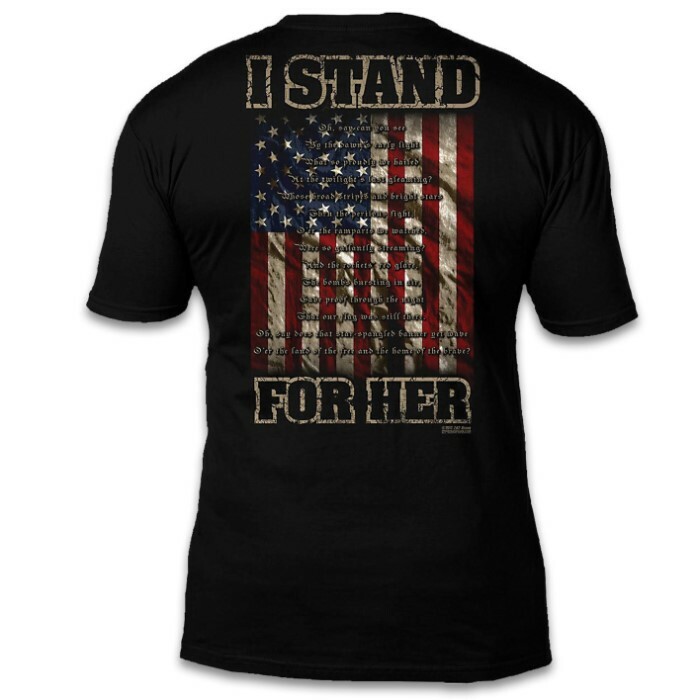 The front has a US Flag with “I Stand For Her” in a pocket size and the back has a full-color design with the National Anthem displayed on a US Flag background and the words “I Stand For Her.” Proudly designed and printed in the USA, the t-shirt is available in sizes large, 1XL and 2XL.